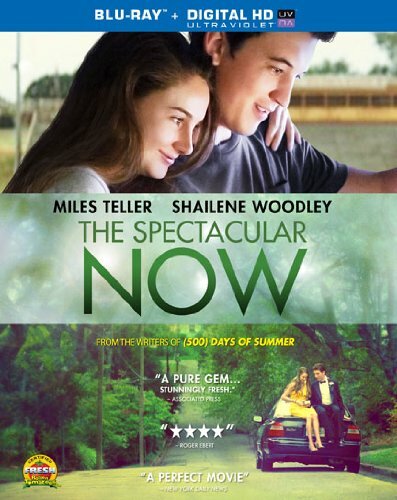 Based on the beloved book by Tim Tharp, THE SPECTACULAR NOW is the story of Sutter Keely (Miles Teller), a high school senior and self-proclaimed "life of the party," who unexpectedly falls in love with "nice girl" Aimee Fineky (Shailene Woodley). While Aimee dreams of the future, Sutter lives in the now, and yet somehow, they're drawn together. What starts as an unlikely romance becomes a sharp- eyed, straight-up snapshot of the heady confusion and haunting passion of youth. Costarring Brie Larson, Kyle Chandler and Jennifer Jason Leigh.